Powerful, heartwarming and overwhelming at times, last Friday our Relay for Life Team, Cars for a Cure, took part in the Barrington High School Relay for Life event in Rhode Island. 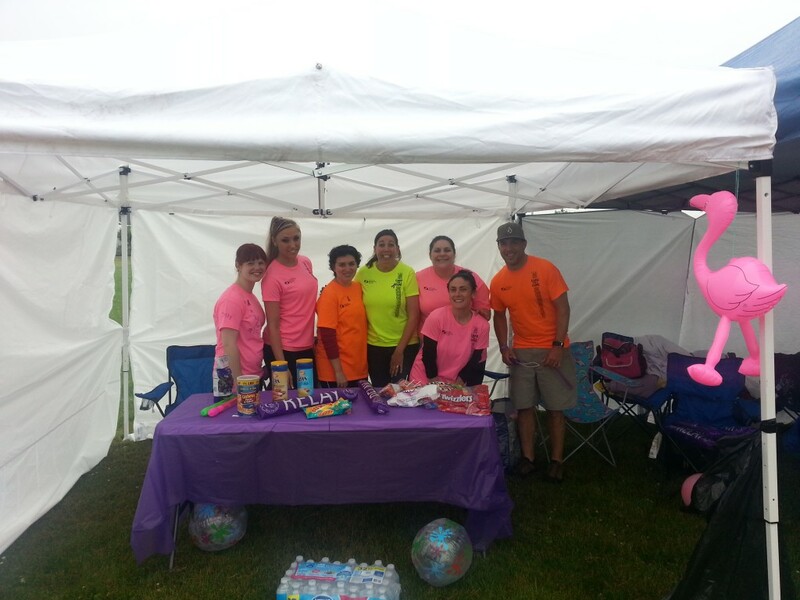 Bad weather, with the possibility of thunder storms, couldn’t dampen our spirits as we set up our colorful campsite. The atmosphere was palpable. Everyone was there for the same reason: to fight back, one step at a time, against cancer. The event had over 500 people; those affected by cancer, caregivers and survivors. With our fluorescent colored t-shirts and our team name “carsforacure” on our back, we proudly walked to create a world with more birthdays in it. After the sun set, it was time for the Luminaria Ceremony. Everyone was handed a glow stick and we were told not to crack it until the right time came. We stood on the track and listened to the daughter of the former Principal at Barrington High School speak about the loss of her Dad. Her courage speaking out to so many people about her father’s passing was heartwarming. When she was finished we were asked to be silent and to listen. We were asked to crack our glow sticks if we were a cancer survivor; a few people cracked their glow sticks. We were asked if we were there for our mom, our dad, our grandparents, and our friends. Each time we heard more and more glow sticks cracking. 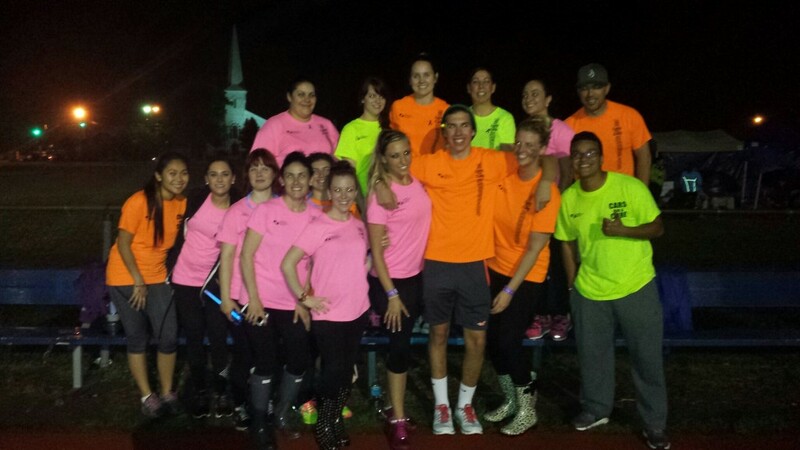 The track was alight with glow sticks, and it was overwhelming to hear and see how much cancer affects all of us. Relay for Life is a time for people to come together and raise awareness and money to fight against cancer. It was tough and at times we wanted to give up but we kept going. Our team walked all night long, from 6pm to 6am, and we left inspired albeit a little tired! For the past few months we have been raising awareness and money for our Cars for a Cure Team and last Friday was the culmination of all our hard work coming together. We raised over $2800 for Relay for Life and we had fun doing it. Check out our raffle blog post here. “When you start a business, it’s hard to know what kind of company you will become, but years later looking around the tent and seeing all of you give up a Friday night in the summer to serve a greater good makes me feel like we are on the right path with our business and our people.” Joseph D. Hearn , President & CEO of Advanced Remarketing Services, Inc.
Advanced Remarketing Services, Inc. acts as agent for the American Cancer Society and runs their Cars for a Cure vehicle donation program. If you are looking for a way to give back to the American Cancer Society think about donating your car today.